I told myself when I started this blog that I would really try hard to 1.) maintain a balance of sweet and savory recipes and 2.) post generally healthy recipes. I can’t promise that I will live up to those two things in these weeks leading up to Christmas. This is due to two things: 1.) The existence of Christmas cookies and 2.) My time recently has been a pretty even split between work, baking said Christmas cookies and getting ready to go on vacation with my friends to Florida for a week, meaning that I have been having to work pretty hard not to just eat cookies for dinner and call it a day. That being said, you’re likely to find quite a few cookies recipes popping up on here in the next few weeks. I hope you’re ok with that. If it makes a difference, I promise that they will be super awesome and delicious. I also promise to add in some savory (hopefully healthy…er…healthier…than cookies…) recipes along the way. Ok? Good? Can we still be friends? 1.) They rock. I can’t honestly remember when we first made these for Christmas, but they immediately became everyone’s favorite cookie. My family FIGHTS over these cookies. 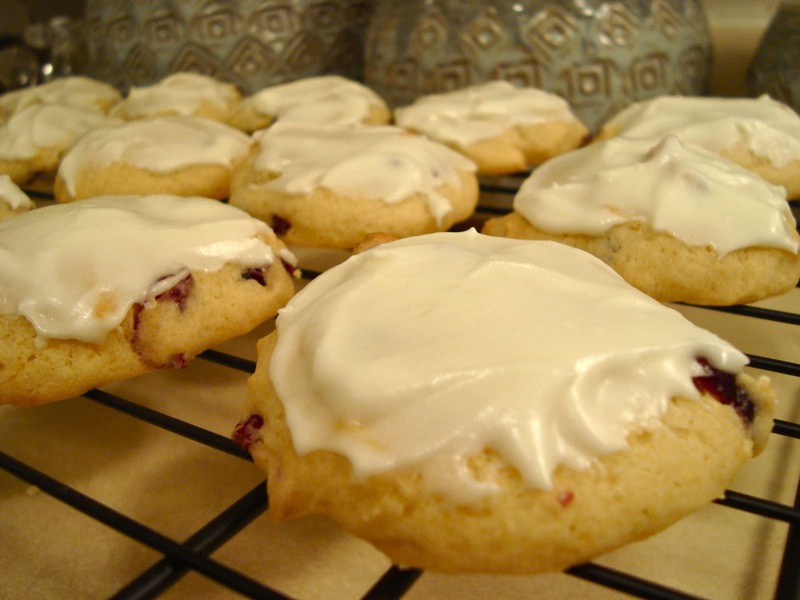 Who gets the cookie with the most cranberries, who gets the biggest cookie, who gets the last cookie…I’m not kidding. Remember how my momma isn’t allowed in at Thanksgiving or Christmas without the Pecan Raisin Pie? Well, I’m not allowed in at Christmas without these cookies. 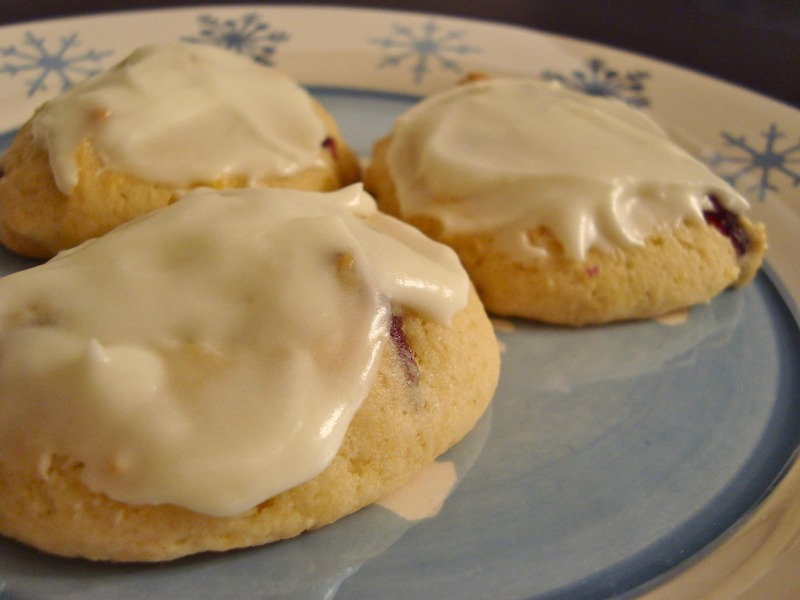 They’re such a nice little surprise of a cookie; soft, with a nice chewy tartness from the cranberries and a sweetness from the orange frosting. SO DELICIOUS. 2.) They’re crazy easy to throw together. The most time consuming part of making these is frosting them. 3.) They freeze beautifully. Make them now, stick them in the freezer, and pull them out the night before your Christmas party. Easy peasy. 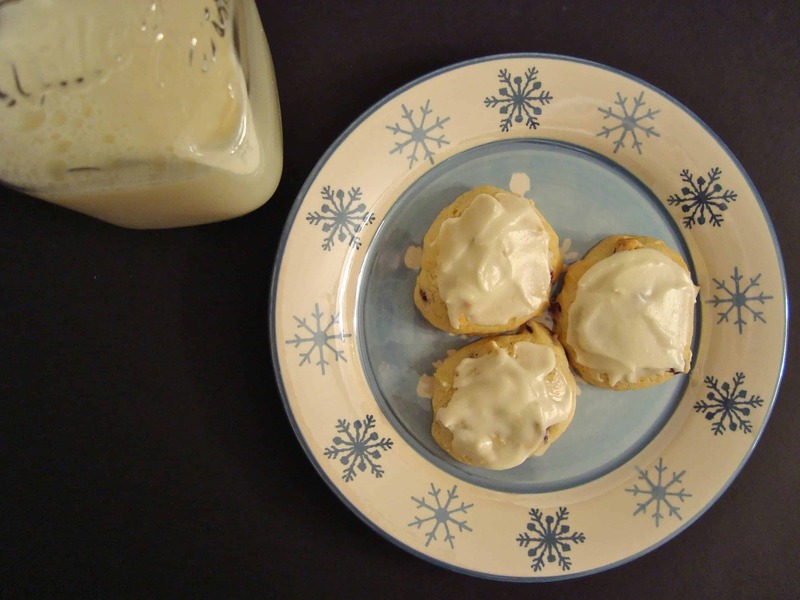 We have always iced them before freezing them and have never had any issues, but if you are worried about the frosting getting smushed in the freezer, you could certainly wait to frost them at the last minute. 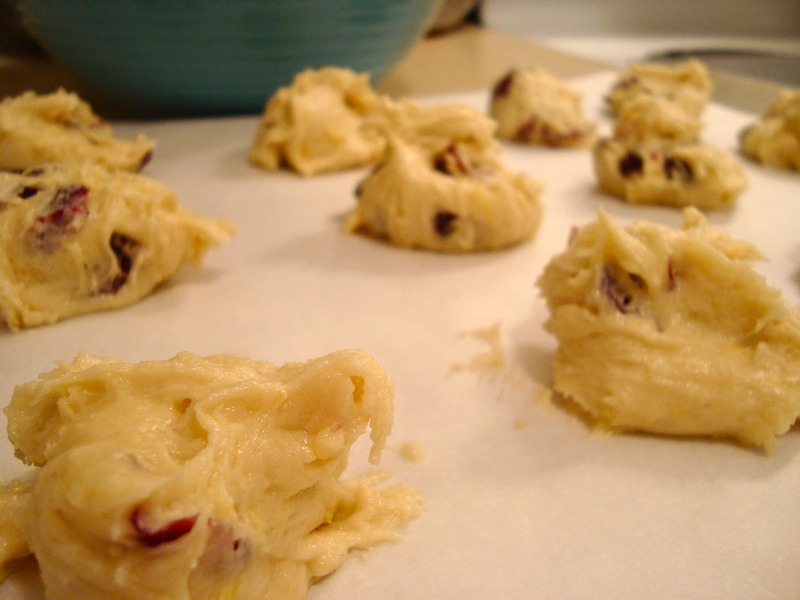 Combine all cookie ingredients except cranberries in a large mixing bowl. Beat at medium speed, scraping bowl often, until smooth (1 to 2 minutes). (If using a hand mixer, I suggest creaming together the butter and sugar, adding the wet ingredients and then stirring in the dry ingredients by hand.) Fold in cranberries by hand. Drop dough by rounded teaspoonfuls 1 inch apart onto lightly greased cookie sheets. Bake 7-9 minutes, or until edges just begin to brown. Remove from cookie sheets; cool completely. Combine powdered sugar and 1 tablespoon of butter in a a mixing bowl. Beat at low speed until well mixed. 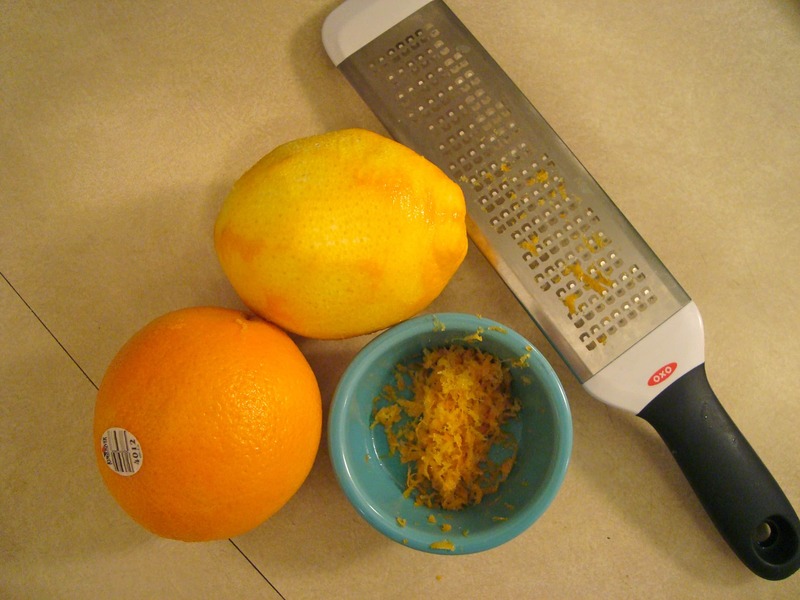 Beat in enough orange juice for desired spreading consistency. 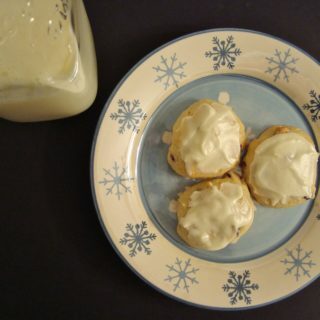 Frost cooled cookies.